With summer around the corner, load shedding is all set to increase further, as the water level in the country’s main reservoir Tarbela Dam reached the dead level on Wednesday, which will negatively impact hydel power generation expected to fall below 2,000MWs from the present peak generation of 3,800MWs. An official source at the Indus River System Authority (IRSA) said that the water level in Tarbela Dam reached the dead level of 1,378 feet. Inflows before reaching the dead level were 20,000 cusecs while outflows were 38,000 cusecs. “Now, onwards whatever comes in will go down”, he added. A meeting was convened in Lahore today (Thursday) to devise a strategy to cope with the situation. Power demand remained over 10,000MWs and might increase if the weather becomes hotter. A Water and Power Ministry spokesman said that power generation from Tarbela will decline but remain constant from Mangla. He admitted that the decline will be significant and more load shedding would be carried out if funds were not released for thermal power generation. The Mangla reservoir was at 1,068 feet against the dead level of 1,040 feet. 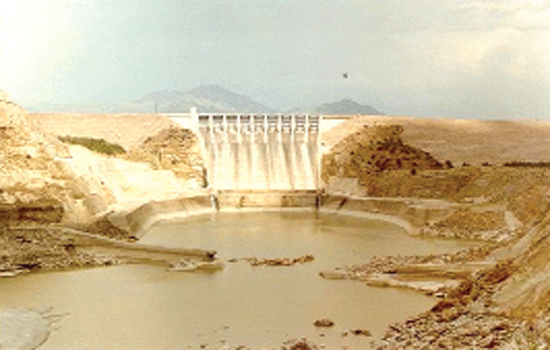 It had an inflow of 24,000 cusecs from Jehlum River while outflow was 35,000 cusecs. The water inflow in two unregulated rivers, Kabul was recorded at 12,000 cusecs and Chenab 20,000 cusecs. The additional capacity of 3 MAF of Mangla Dam could not be utilised for the last two years due to failure of WAPDA to resolve resettlement issues. Sources said that the Kharif sowing in Sindh, which starts from early April might get delayed for a couple of weeks due to low water availability, if the temperature did not pick up from mid-March to the month’s end. He said that there was no chance of water shortage affecting the wheat crop, as timely steps were taken to release enough water for the last irrigation of the crop. The government had set a wheat production target of 25 million tonnes for this year, which was heavily dependent on timely water releases for a good harvest. Talking to Pakistan Today, IRSA Chairman Syed Mazhar Ali Shah said that the situation was under control, as enough water was released for last watering of wheat crop. He said that water inflows decline during winter and will improve with the mercury rising in the next few weeks. Mazhar said that river catchment areas had received good snowfall this year and hopefully there will be enough water for Kharif. He said that a IRSA technical committee will assess the situation in mid-March to devise the water release plan from the Kharif season that begins from April. When asked about the reason for the sudden decline in water, he said that the Rabi season started with a 16 percent shortfall but provinces were given 10 percent extra or 3.5 MAF more water in November to bring more area under cultivation. But a cold February resulted in decline in water inflows but with rising temperature from March onwards the situation will improve, he said.